Today, I am going to share all the one click root apps for Android rooting. If you try all of them, there is 99% chance that your device will be rooted. Let’s get started. Following are the one click Root Apphs that DON’T require PC to root. KingRoot Apk [latest version 4.1.0.524] is a powerful and free Android Rooting tool. Kingroot apk was developed by a famous Chinese developer with the help of this tool you can root your Android phones or tablets with just one click button. The developers of kingroot apk regularly provide updates that support latest devices. Framaroot apk for android is the best way to root some devices in one click. 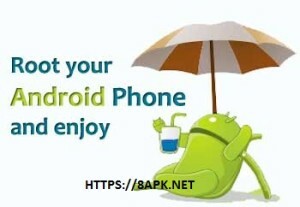 With Framaroot apk For Android You can Root your Android Device in One Click without using PC. This is the most easiest way of rooting your android device. Towelroot Apk is a small tool that allows you to root your Android device in just a few seconds, all by installing the APK and pressing a button. Root Master Apk for android is an awesome tool to ROOT your android devices in one click. It support rooting almost all Android models from different manufacturers like Samsung, Motorola, HTC, Sony, Google, etc and all Android versions from Android 1.5 the cupcake to the latest Android 5.0 Lollipop. Baidu root apk (baidu easy root) is just one of the services rendered by BaiduInc, a Chinese web company that is headquartered in Beijing, China. Although it is of Chinese development, it is easy to use because we have modifed it to english just for you. IRoot apk is developed by Mgyun team who released vRoot while ago. iRoot is the best vRoot alternative and best Android rooting software which supported almost any Android smartphone or tablet PC. iRoot supports for Android 2.2 through 4.4 running devices and more than 150000 models with various brand names. Universal Root (AndRoot) Apk is an tool developed to root your android device easily and efficiently. Kingo Root apk is the easiest Android rooting tool without any debate. Just Download Kingo Root -> Connect and Root your android device. KingoRoot android is totally free and works with almost every android device. Following are the PC-Apps (.exe-file) to One-Click Root your android. In kingo Root, you should Install kingo root in android and then connect to PC to root, but the following apps should be installed on PC. In other terms, Kingo root is .apk file and below apps are .exe file. Root Genius is the best tool for root any Android smartphone or tablet. Root Genius 1.8.7 supports more than 10000 Android devices. Simply download root genius and run on your pc by connecting your device to the PC. Vroot is the simplest toll when it comes to android rooting softwares. This is one-click-rooting tool. Currently English windows version is supporting over 8000 + android devices , which is most compatible rooting tool for android devices. That’s all. There are some other apps for one-click root but we didn’t mentioned them because some of them are malware/virus, some are not well programmed and may harm your device and some other apps which you should buy. I hope this article helped you to root your Android. Any suggestions are more than welcome. You can even request to include your app (if any) in the list. we will check manually before listing. Tenho um moto G2 xt1078 LTE N CONCIGO FAZEE ROOT DE JEITO NEM UM TBM N TENHO MUITO CONHECIMENTO COM PC .preciso muito fazer root nesse aparelho vcs podem me indicar um apk e irá funcionar . Pq nem um desses eu consegui . pavan, Find out the tutorial with step by step instructions to root Swipe Konnect 4G Neo Android Smartphone using Kingo Root using computer.